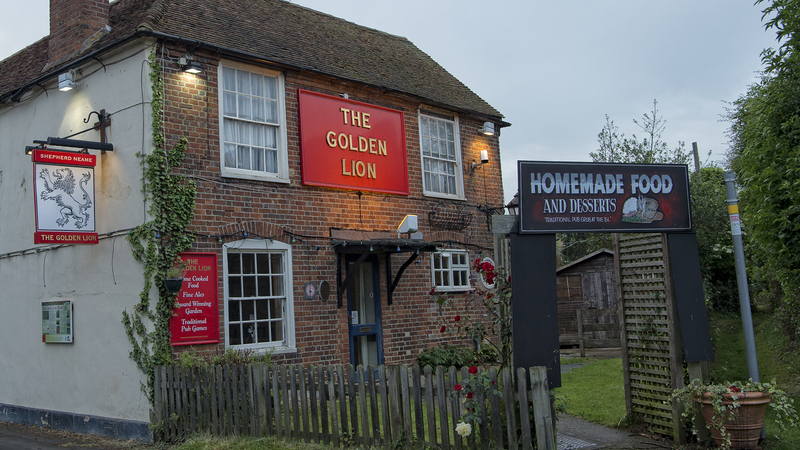 The Golden Lion is close to Canterbury in the quiet village of Broad Oak. Located near the main A291 road between Canterbury and Herne Bay, the pub is well served by local buses, and provides 40 car park spaces for drivers. From Canterbury, go along Broad Oak Road, then take the Shallock Road junction into Sweechgate Road. The pub is then signposted. From Herne Bay, take the A291 to Canterbury, turn right into Sweechgate Road and continue until the junction of Mayton Lane and Shallock Road.